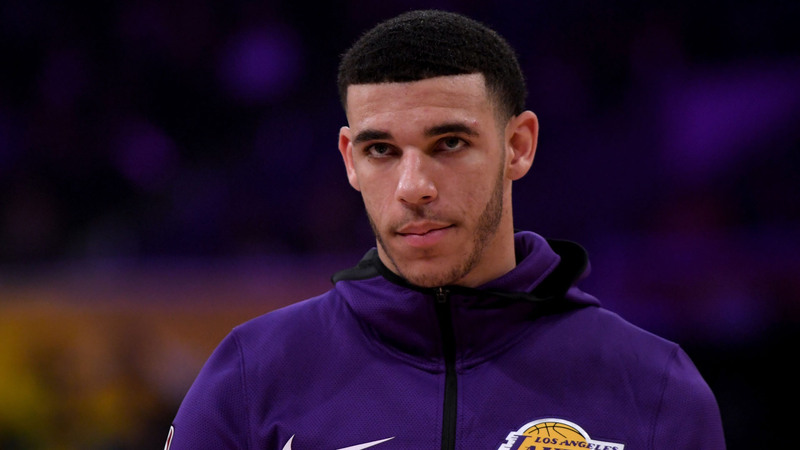 Lonzo Ball may not be on the floor for the Los Angeles Lakers on Saturday. The 21-year-old guard tweaked his ankle in practice when he landed on a team-mate's foot during a scrimmage, coach Luke Walton told reporters Friday. He said he was unsure of Ball's status for the team's game against the Sacramento Kings. "Hopefully it's nothing serious," Walton said. "We got him out of the end of practice. He went in and got some treatment." The Lakers added star LeBron James, as well as Rajon Rondo, among others this offseason. Walton said the team now have options to replace Ball as the primary ball handler if he misses time. "We felt last year when [Lonzo] got hurt, we were searching for that guy," Walton said. "This year… we have guys who we're very confident can play that point guard position for us. "I think it's great to have these guys on the team with [Ball] right now … We have two of the best playmakers in the league with Rondo and LeBron on the team." Ball has averaged nine points as well as 4.8 rebounds and 4.5 assists in 26.1 minutes per game this season. The Lakers will head into their game against the Kings with a 5-6 record.